Designed and manufactured in Australia, the BioLock fingerprint reader kit is a brilliant new product which opens your door by recognising your unique fingerprint. 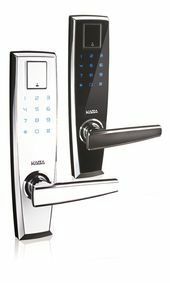 No keys, no hassles, and one touch access to any authorised or designated user at home or in the office. 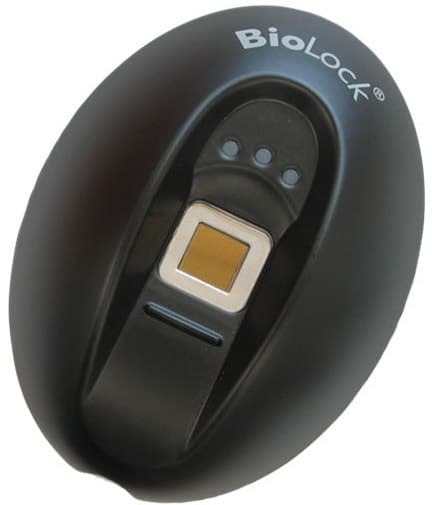 The BioLock kit is supplied with free PC software called BioKey, which provides full access control and time management reports. You can also organise BioLock to turn lights on and off, arm and disarm alarm systems, open garage doors or gates etc. Stand alone mode capacity: 100 finger templates and more than 20,000 log transactions. Multi unit mode capacity: 400 finger templates and unlimited log capacity. 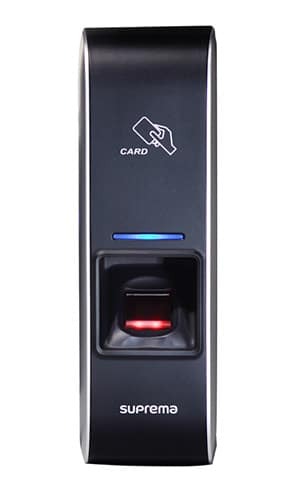 The E-Flash 780 is the biometric version of the E-Flash series and is operated by the presentation of a registered fingerprint. The EF780 model supplies complete freedom as you become the key needed to unlock your door. Imagine the freedom of taking the dog for a walk without having to carry keys, or the convenience of being able to leave the keys in the ignition of your car and still be able to re-enter your home for that forgotten item. As well as convenient, the E-Flash 780 is also practical and features a Kaba MS2 Mortice Lock, which has been modified to allow for E-Flash functions. Our MS2 Mortice Lock is a heavy duty, stainless steel locking system which is recessed into your door, leaving none of the locking mechanism visible, ensuring that the aesthetics of your entry is maintained. Once you have had your E-Flash installed, set up takes only minutes and has been made extremely simple thanks to E-Flash’s voice guide function, which will talk you through the set up process step by step. With over 100 user registrations possible, we suggest registering multiple fingers so that if you are carrying a parcel or have injured a finger, your ability to unlock the door is not compromised.